Most of us have participated in raffles for a good cause, whether they be to support a church, a school, or a local sports team. Raffles are an excellent fundraiser, but if you want to run one yourself, you should take the time to get to know how to do them right. Here are tips on how to run a legal raffle that won’t get you or your organization into hot water. If you are using a raffle as a fundraiser, you are usually talking about holding a personal raffle. That is to say, a raffle that is held by an organization and not the government. 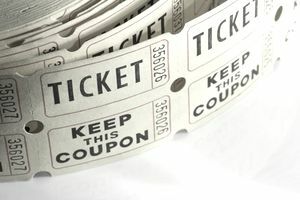 A raffle is a form of gambling where people pay money to buy tickets that give them the chance of winning a prize. The chances of winning are determined randomly. In many countries, including the United States, personal lotteries are prohibited. Only the government, neither individuals or nor private companies, is allowed to legally run lotteries. However, some jurisdictions make exceptions, for example, for certain types of organizations, for raffles with prizes that are worth under a certain amount. Here’s how to check whether your organization can run a legal raffle. In the United States, the laws that cover raffles (as well as lotteries and other forms of gambling) are controlled by a combination of state and federal law. That means that whether you are able to run a raffle at all, and what you have to do to ensure that raffle meets all legal requirements, varies depending on where your raffle is located. Currently, raffles are legal with various restrictions in 45 of the 50 states. The states that prohibit raffles altogether are: Alabama, California, Hawaii, Kansas, and Utah. Depending on the laws of your state, you may need to register your raffle ahead of time. You may be restricted by business or organization type. You may even be allowed to hold only a certain number of raffles per year. Canada allows charitable organizations, and only charitable organizations, to hold raffles as fundraisers, but as in the United States, the details vary by province. Raffle laws are handled by three different groups: the Criminal Code of Canada, the Competition Bureau Canada, and local municipalities. Ontario: Depending on the size of the prizes to be awarded, charitable organizations in Ontario need to apply for either a municipal or a provincial license, according to the Alcohol and Gaming Commission of Ontario (AGCO). Businesses must prove eligibility; to qualify, they must be a charitable organization that has been in business for at least a year and which has a location in Ontario. British Columbia: Raffles in British Columbia are regulated by the Gaming Policy and Enforcement Branch (GPEB) of the province’s government. To be eligible, you must have a not-for-profit or community organization that is raising funds to benefit the community. You must apply for a license in advance. Quebec: Three types of organizations can run raffles in Quebec: those donating the money to charity, people who are operating a fair or exhibition, and vendors at a fair or exhibition with a concession license. Get more details from Canada Ticket Printing. Alberta: Raffles in Alberta are managed by the Alberta Gaming & Liquor Commission (AGLC). Non-profit and community organizations must first prove they are eligible, and then they must apply for a license before running a raffle. Nova Scotia: Charities, religious organizations, and non-profit community organizations can legally run raffles in Nova Scotia if they apply for a license in advance. See the Nova Scotia Alcohol and Gaming Division website to apply or to get more information. Saskatchewan: Before you run a raffle in Saskatchewan, you need to submit documentation to the Saskatchewan Liquor and Gaming Authority (SLGA). You’ll need to prove that your organization is an eligible non-profit and provide some information about the raffle. Your license fees will depend on the size of the raffle you are running. Newfoundland and Labrador: Several types of groups can run raffles in Newfoundland and Labrador, according to the Newfoundland and Labrador government website. Examples include nonprofit fire departments, church groups, colleges, scout groups, and more. A specific person in each organization must apply for a license in advance. Manitoba: The Liquor, Gaming, and Cannabis Authority of Manitoba allows charitable and religious organizations to run raffles; they also allow one-off raffles for certain social occasions. All raffles must be licensed in advance. Prince Edward Island: Prince Edward Island has very specific requirements about who can run raffles. For example, only non-profit and charitable organizations can apply, and the funds raised by the raffle must be used for specific causes. You can read more about them on the PEI government website. New Brunswick: In New Brunswick, legal lotteries may be held only by charitable organizations, and the money raised by the raffle must be used for a charitable object or purpose. If the value of the prizes to be raffled off is less than $500, you can apply for a simple permit. Otherwise, you’ll need to get a license in advance. See the New Brunswick Government website for more information. If you have any questions about whether your raffle is legal or whether you have gone through all of the necessary steps, it’s always wise to consult a lawyer who is knowledgable in the subject. Making a mistake can be a costly, and even criminal, offense. Legal Raffles in the U.S.